Every religious order, congregation, and society of common life in the Church is governed by an elected superior general. Assisted by a General Council, he guides the members and the apostolic works of the institute, according to the norms and spirit of the Constitutions. The Constitutions or Statutes of the Society of St. Pius X, the founding document written by Archbishop Lefebvre and approved on November 1, 1970 by Bishop Francois Charriere, of Lausanne, Geneva, and Fribourg, determine that the Superior General is elected by the General Chapter for a term of office of 12 years, and that he may be re-elected. A two-thirds majority of votes is required. To be eligible, he must be a priest having made his perpetual engagement in the Society, and be at least 30 years old. To this effect, he resides at the General House in Menzingen, Switzerland, where he oversees the day-to-day apostolic and administrative activities of the Society, holding meetings with his Council, receiving visits of priests and faithful, and attending to his abundant correspondence. The Superior General maintains a close contact with the different superiors responsible for the work of the Society worldwide. He visits regularly all the seminaries and priories of the Society, meeting in person with every member and becoming acquainted directly with the development and needs of the different apostolates. 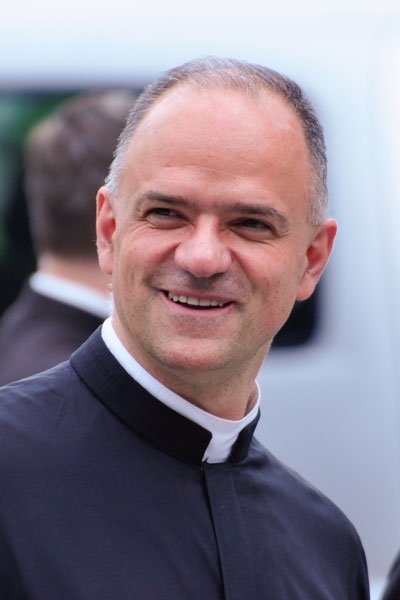 His international trips allow him to preach every year spiritual retreats to priests, seminarians, and religious, and also to encourage the work of Tradition by giving conferences to the faithful. These journeys offer him as well the opportunity to visit friendly religious communities and local priests who are interested in the Society.